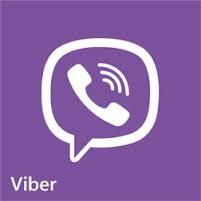 Viber is one of the most downloaded and used communication app that allows you to send free Instant Messages and make free internet calls to whoever you want. Overall it is one really great app and it’s also free. However, check out what Viber’s developers missed out, and how you can break the lockscreen pattern to enter someone’s phone. Apparently, Viber requires a certain permission with the lockscreen, so that whenever you receive a message it will pop up on the screen even if you have lockscreen password. Because of this permission, anyone that has Viber installed and knows your number can enter your phone without entering the lockscreen password. This security flaw and how you can break the lockscreen pattern is explained in the video below. Viber developers are currently working on a solution to fix this, and until then, be careful who you give your phone to if you don’t want them to access all your private files.